Theatre Saskatchewan Incorporated contributes to the growth and development of all aspects of community theatre in the province through education, member funding, awareness, and festival events. Find a script using the filters below, or browse our entire Library. Become a member and support Theatre Saskatchewan. You will have access to perks only member have! Browse and borrow from our extensive library of playwrights. You'll even have access to items other members are selling. Visit the membership page for details! 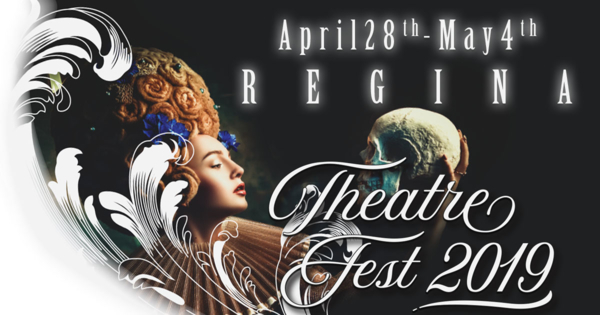 Join us in Regina from April 28th to May 4th, 2019 to celebrate our 85th long play competition, TheatreFest 2019! 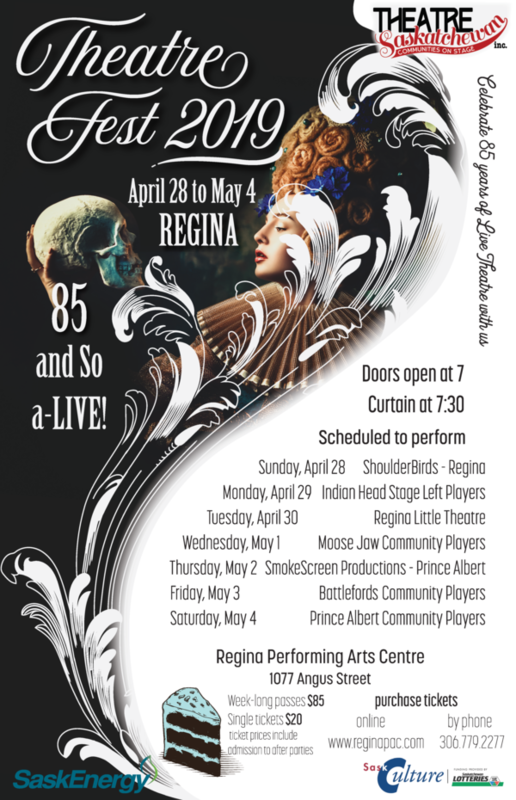 Weeklong passes are $85 and single night tickets are $20 available online or by calling the Regina Performing Arts Centre at 306.779.2277. For more information please check out our TheatreFest 2019 page here. For a complete list of award winners and pictures from TheatreOne 2018 in Yorkton please click on the link below.